That evening she told her mother over the phone she loved her, posted on her Facebook wall that she loved her best friends, wrote notes in odd places in her room and then went up to the attic of her family’s house and hanged herself. The mother sued the City of Richmond Hill for the negligence of the city’s police officer in violating official policy and sharing the photographs of the victim’s first suicide attempt, foreseeably leading to the victim’s subsequently successful suicide attempt. 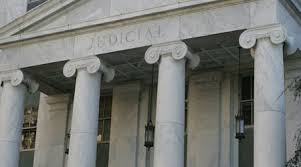 The Court of Appeals looked to its precedent in suicide cases, which dates back to 1967, Appling v. Jones, 115 Ga. App. 301 (1967). In Appling the Court had held “where injuries resulting from the negligence of a third person produce a state of mind in the injured person which leads to her suicide, the person guilty of the negligence is not civilly responsible for the suicide.” Fortunately, the Court in City of Richmond Hill found these circumstances different in that there was a special duty owed by the police officer to the suicide victim not to show her photographs to anyone. His doing so was a violation of the Police Department’s own policy. The Court found the scenario more akin to a special relationship between a medical provider and his patient. The Court noted the police officer “had reason to know that [the victim] was peculiarly vulnerable because he had investigated her suicide attempt.” The Court found the act of suicide was not an intervening act that would preclude the a finding that the police officer’s negligence proximately caused the child to commit suicide. Appling opinion and shows a complete misunderstanding of the science and medicine of suicide. It also reveals a complete absence of understanding and evolution of mental health since 1967. One of the dissents in City of Richmond Hill actually goes further and cites a suicide case from 1913! The City of Richmond Hill opinion doesn’t seem to rely on expert testimony about why people commit suicide and the triggers we now know can cause someone to commit suicide. It seems reasonable for an opinion addressing third party liability for suicide as a result of allegedly negligent conduct that arguably caused a person to commit suicide to have researched and referred to the current state of mental health medicine and science to reach a sound result. Fortunately, the Court reached that sound result nonetheless. I’ll be watching this case as it is argued before the Georgia Supreme Court and will keep you posted. In the meantime, I’ll keep fighting the good fight!